Currently viewing the category: "Canada & the US"
Vancouver’s Marc Emery sold large quantities of marijuana seeds to Americans. 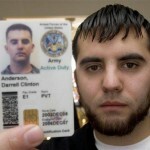 He will be extradited from Canada to the United States in January to serve a five year prison sentence. In an interview during his last days of freedom, he says it has been worth it to thwart the ‘war on drugs’. 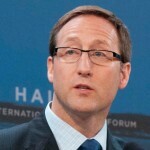 Canada wants to hand Afghan combat mission over to U.S.
Canadian forces are expected to remain active in southern Afghanistan after the current Parliamentary mandate for their mission expires at the end of 2011, says Canada’s Defence Minister Peter MacKay. Canadian troops will focus on training and reconstruction work, while U.S. forces will take over their combat tasks. 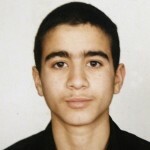 Omar Khadr, the Canadian ‘child of Guantanamo Bay’, once seemed a magnificent catch in the war on terrorism. But his detention has been problematic for both the U.S. and Canada. There is international criticism against a military trial for a minor. 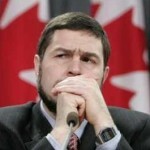 Canada can help by requesting Khadr’s extradition – but it does not want him back. 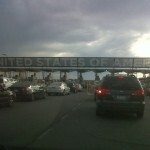 The border between the United States and Canada, traditionally known as the longest undefended border in the world, is increasingly looking like a fortress. A virtual wall of technology is being drawn up by U.S. Homeland Security. 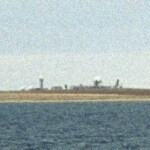 Critics see a “militarization of the border”. The historic library of Stanstead and Derby Line stands on the Canada-U.S. border: the entrance is in the United States, the books are in Canada. 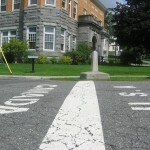 In border communities like these twin towns along the Quebec-Vermont boundary, the tightening of customs controls is viewed with dismay. Cannabis cultivation is flourishing on Canada’s West Coast. In British Columbia, fortunes are made by growing pot for export to the U.S. market. The ‘B.C. Bud’ industry brings in more money than the lumber business or tourism. Some propose legalization. 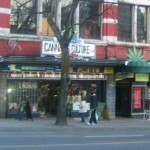 But not everybody welcomes B.C.’s position as a marijuana Mecca. 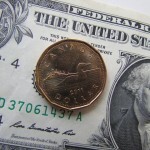 Because of growing oil production in Canada, the Canadian dollar is increasingly seen as a ‘petro currency’. The loonie rises with the oil price, causing the competitive position of Canada’s industrial exports sector to erode. As a result, the Canadian economy has been diagnosed with ‘Dutch disease’.